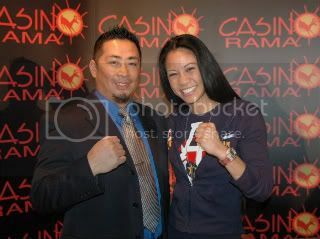 Pacland's Philippine Boxing Forum • View topic - Ana Julaton is cute! Post subject: Re: Ana Julaton is cute! if she happens to be slightly overweight at the scales, would she take off her clothes to make the weight limit? Asmatteroffact, this happened in Gina Carano weigh in.....D'best ! Photos to enhance your imagination. Yeah, she's beauty and hot too.